With the massive E3 gaming expo getting underway this week, we've got a host of gaming news for you, from release dates to trailers. There's also news on hardware devices launching soon from Apple, Google and LG, all courtesy of our friends at TechRadar. The huge E3 gaming expo is running this week, and we've already had a host of announcements covering new games – from release dates to new trailers. If you're at all interested in games, you need to catch up with the best of the show so far, including news from Microsoft, Sony, Bethesda, EA, and many of the other major names in the industry. Part of what makes E3 what it is are the game trailers we get treated to every year, and 2018 hasn't disappointed so far. Follow the link below to see teasers for Cyberpunk 2077, Doom Eternal, Starfield, Elder Scrolls 6, Halo Infinite, Fallout 76, Rage 2, Wolfenstein Youngblood and plenty of other titles you're going to be playing in the years to come. We're expecting a brand new smartwatch from LG in the near future, probably running Wear OS, and we just got some more evidence it's on the way – apparently the wearable just passed FCC (Federal Communications Commission) approval, which is a stage devices go through just before they're launched to the public. Keep your eyes out for this one. Speaking of hardware devices we're expecting to break cover in the next few months, there's also the Google Pixel 3 and the Google Pixel 3 XL. According to some digging that users have done in the beta code for Android P, these two phones could get a serious upgrade in the form of wireless charging – it's certainly hinted at in the Android code. 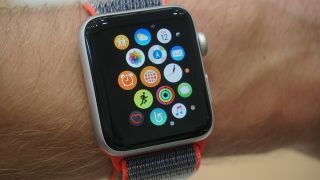 And finally in our roundup of device rumours, a new report is tipping the next Apple Watch to feature solid-state buttons that don't move but give haptic feedback when pressed. Why is that important? Well, it would allow Apple to cram a larger battery into the Series 4 and improve the waterproofing too. The next Apple wearable could be with us in September.